I’d love to be able to write in a crowded room like D.H. Lawrence, but I need silence and solitude. The early stage of Rook was a very noisy exception. Cello music, volume up high, accompanied me most of the day, as did the cellists I watched on Youtube, over and over again: YoYo Ma, playing Saint-Saens, The Swan; Jacqueline Du Pre playing Elgar’s well known Cello Concerto in E minor, especially the Adagio. My main character, Nora, had to be a cellist so, knowing nothing at all about the cello, I needed to observe technique, as well as listen. I bought CDs and played them in the car and in the kitchen, until my husband complained. He’s more of a BBC Radio 5 Live person. I read Mstislav Rostropovitch: Cellist, Teacher, Legend by Elizabeth Wilson, a book which lead me the Bach Prelude in G major and helped me fall a little in love with Rostrapovitch and his spark of genius. A friend teaches at the Royal Academy so I was lucky enough to have the opportunity to sit in on some lessons. These had a profound effect and were inspirational in terms of understanding my central character. One gifted young student, Cecilia Bignall, played cello music I’d never heard, such as Shostakovich Cello Concerto No. 1 and the Martinu cello concerto no. 1. To observe, at close range, a cellist play such vigorous, powerful music in a relatively small room was electrifying. My whole body reacted; the sound vibrated through my spine, ribs and jaw-bone. It raised my pulse. Cecilia is petite. Her body language while playing gave the impression she and the cello were wrestling with ferocity over the music. Influenced by Jacqueline du Pre’s tragic life story, I’d been under the misconception the cello was largely a romantic, melancholic instrument. While music like Max Bruch’s Kol Nidrei still plays a vital role in the novel, discovering the cello’s gutsy side was a revelation, and led to the development of Nora’s corresponding passion and strength of mind. Though she’s been knocked sideways by what happened to her, she’s feisty. Not long after my Royal Academy visit, I went to a university conference on the Uncanny. 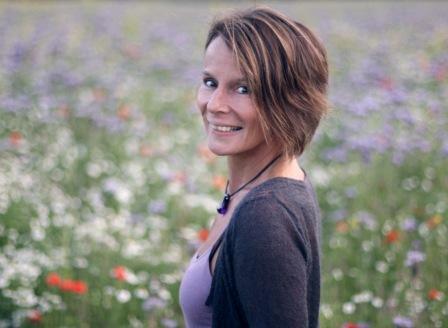 In one seminar session, we discussed the ‘wildness of being’ which exists beneath language. We talked of the fear of wildness, about feral children and the wildness of giving birth. In my notes at this point is a drawing of a light bulb – my private shorthand for eureka moments – followed by a few frenzied scribbles about Nora, my main character. Nora, a professional cellist, has abruptly abandoned her career, her reasons gradually revealed as the novel progresses. Our discussion about the fear of wildness that day helped things fall into place: Nora’s memory of certain events has been repressed. Trying to ‘tame’ her spirit, she no longer allows herself to play with the abandon she once did. If the wildness resurfaces, her memories could be too painful to bear. Ideas about wildness and taming also tied in with the story of the baby rook Nora finds and nurses back to health. I wanted both the rook and Nora to be able to ‘return to the wild’ at the end of the novel. ‘holds the cello close, fingers flat on the wood, the flecks and ripples of varnish, the intimate flaws in the gleam of the cello’s surface, the strength of its body’s curve against her hip and breasts’. This scene, where Nora plays the Martinu cello concerto no. 1 ‘with the urgency of long deprivation’, is a turning point her recovery. Natalie Goldberg talks of the ‘wild mind’ of the writer, a phrase which I use in preference to the ‘unconscious’. Through the discovery of the wild side of cello music, I found parallels between my creative process and Nora’s relationship to her cello, essential to my understanding of her character and motivation. And the trailer for Rook has just gone live. The music was composed especially by Aiden O’Brien of Shadowboxer, and inspired by photographs Natalie Miller (my daughter) took of rooks when we were rooking together. If you like, it’s the other side of the coin – music growing from the writing process. This entry was posted on August 8, 2012, 7:04 am and is filed under Undercover Soundtrack. You can follow any responses to this entry through RSS 2.0. You can leave a response, or trackback from your own site. 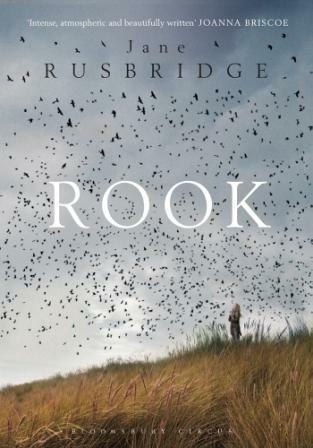 ROOK sounds incredible–I can’t wait to read it–and what a perfect novel and character for this feature! Jane, I can only imagine how the discoveries you made in researching the music and the instrument impacted your process, as you discussed, as well as the character’s personal journey and your understanding of her evolution. There are few things as glorious in the writing process than making those connections with our characters, with those Ah-ha! moments, aren’t there? Erika – Doesn’t Jane’s novel sound stirring? I love that detail about the unexpected ferocity in the young player. It’s funny, having seen your own work from the perspective of its soundtrack, I can see how you and Rook would be a good fit. Lovely to see you here, as always.